At Cleartrip I worked on diverse problems and projects. Our design managers helped us to pick interesting problems with various teams. I worked predominantly on Android and as designers, we work closely on problems and come up with solutions for each platform. Some are unique to Android and I needed to rethink how to map them better for Android users. I worked closely with Nirzar, Jaydeep & Prashant, Product Designers Sunit, Kedar, Design Managers, Suman and Vishal, Product Managers and kickass iOS and Android Engineers at Cleartrip, Bangalore. One of the earlierst projects I worked with the team. The problem is Flight users were unaware the fare rules – whether the ticket is refundable or not or how much it costs to change flight later. They were also unaware of how much they can carry in their baggage. Our web product always had these rules upfront, but not in our App. we know we need to communicate this information early, so we decided to add this information in the Flight itinerary, a step after finalising the flight and right before deciding to book the flight. This section allows users to swipe to see more flight segments & access cancellation policy and fare rules in one tap. 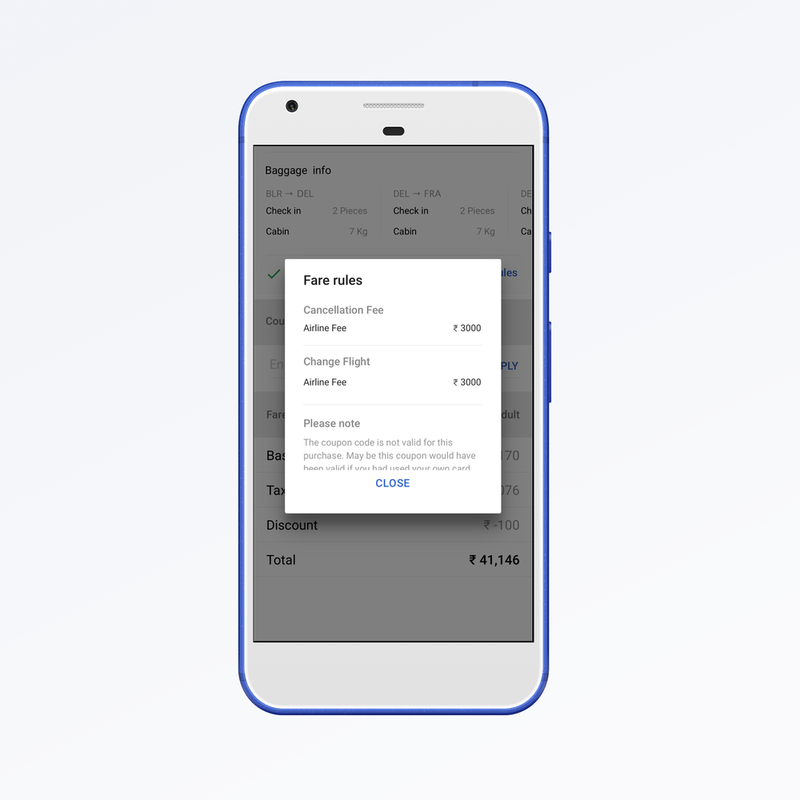 I helped in porting the design to Android platfrom. Book Flights, and hotels to reach to a place. Switch to Local and book activities and events around the place. 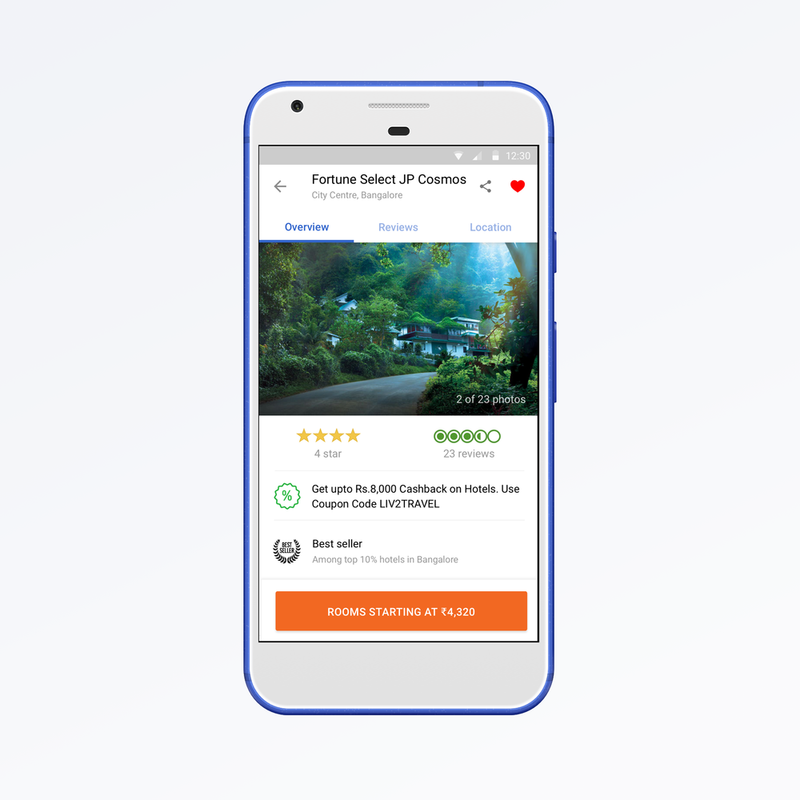 To help people connect with Travel and local products, we also did a first run, that happens when the user installs the app. 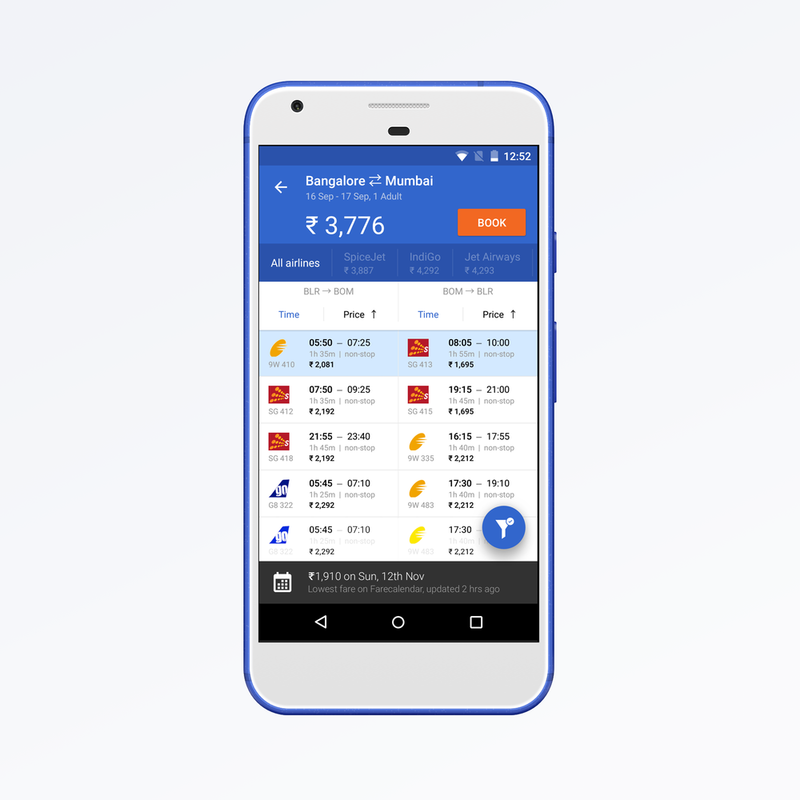 When we first went with material redesign for our Cleartrip Android app, we didn’t want to do any major navigational change and just refreshed our hamburger menu. While the hamburger menu was very controversial design pattern, it served the purpose for us well, until now. When a whole bunch of Local products coming in to the app, we decided to rethink our main navigation. 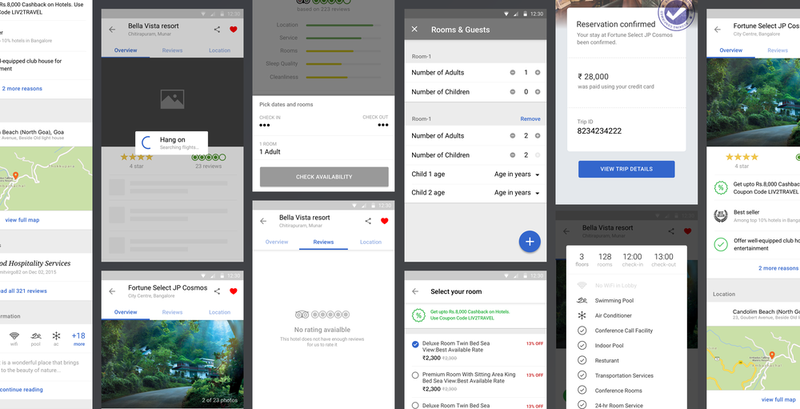 Sunit, my previous design manager helped us to finalise on the bottom navigation for Android. It quickly made a lot of sense and we felt its more accessible. 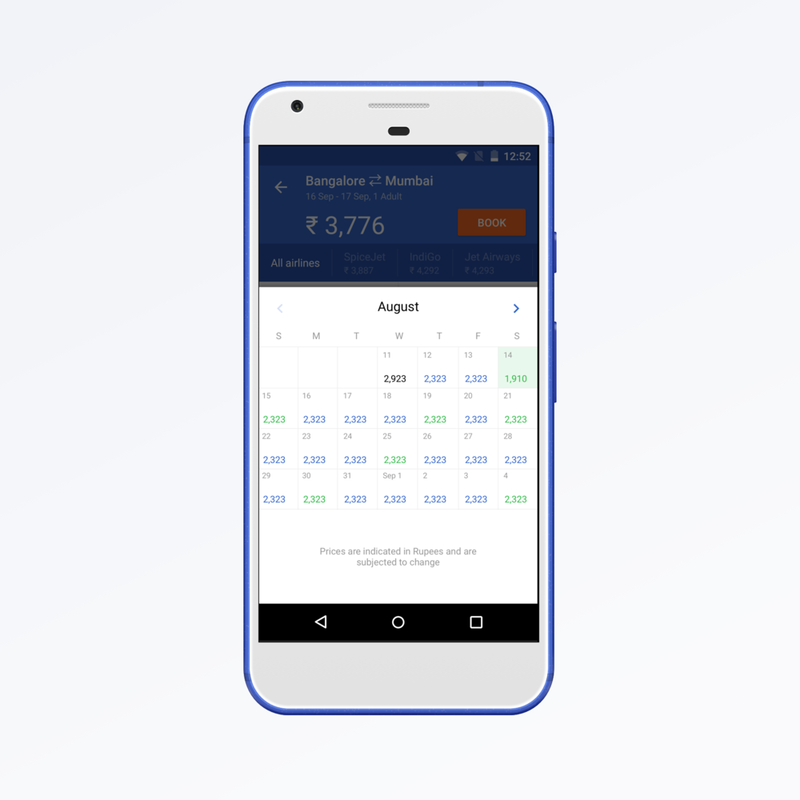 One of the most requested feature from our users was the multi city booking in flights. The problem with One-way or Roundtrip is that it gets tied to only 2 cities (domestic or international). Sometimes users want to stop at few places before they reach the destination or do a bigger roundtrip to minimise costs/time. In both ways, we know we are tackling a unique problem. Jaydeep and I worked closely to solve this experience in Mobile. Upon Searching, Users land on to search results (left). They can filter (Middle) respective multi city itineraries. At Cleartrip, we designers work together as a design team to solve problems. One of the biggest lessons I learnt while working is to go to the core problem user is facing and solve it until we arrive at the simplest solution. The work I showed here is the representation of teamwork and continuous iteration! Disclaimer: All the content and design ideations are representations of how I see the problem and not directly or the only way Cleartrip sees. Carousell App and Carousell's logo are copyrights of Cleartrip Private LTD.